The new website is here at last! 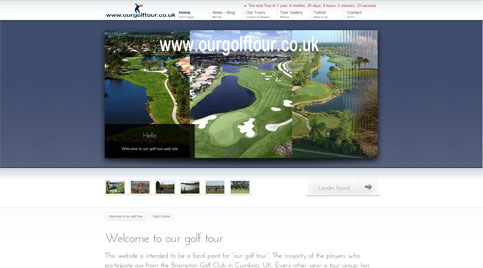 After many hours of head scratching and burning of midnight oil the new website for our golf tour has arrived. Please let me know what your think of it and how you find the navigation. If any one has any dificulty then please let me know. If anyone has suggestions on how to improve the site and or content that should be included then please put your thoughts forward. The website looks fine and dandy! Have looked right through, very clear, professional and interesting even for a non golfer! Like the extra features on the Blog page. Photos also very good. you saddos….haha..